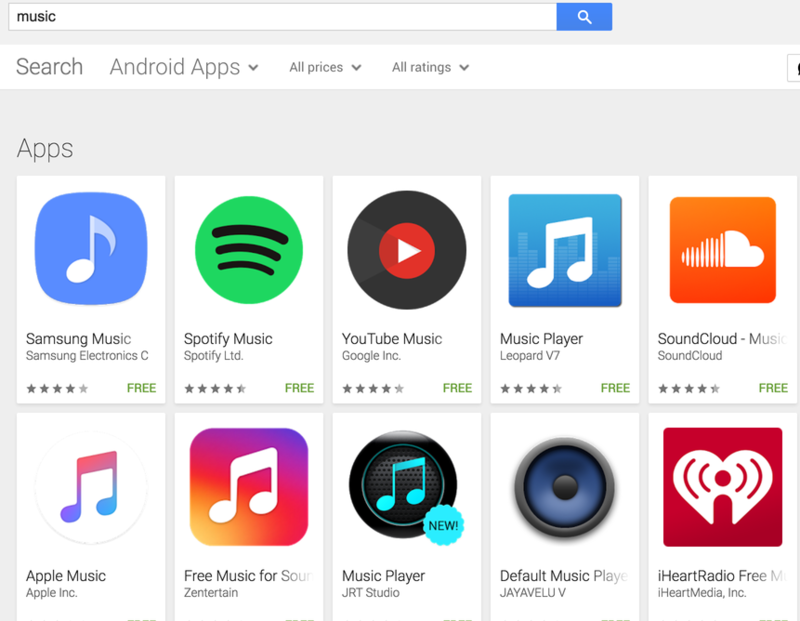 Your app's icon can be one of the most high-impact components of converting app store visitors into installers, especially in the Google Play Store, where your screenshots don't show in search results. Yet, understandably as the most manifest representation of your company's brand, there sometimes exists a resistance to changing the "company's brand." Store Maven indicates that your app's icon has, on average a 10-25% potential for conversion lift, and in the world of mounting competition and rising costs for app installs, it is paramount to pursue every avenue of app store optimization kaizen; your app icon must be on the testing table if you want to achieve the best possible results. Color: background fill, contrasting font vs background, common colors among competition. 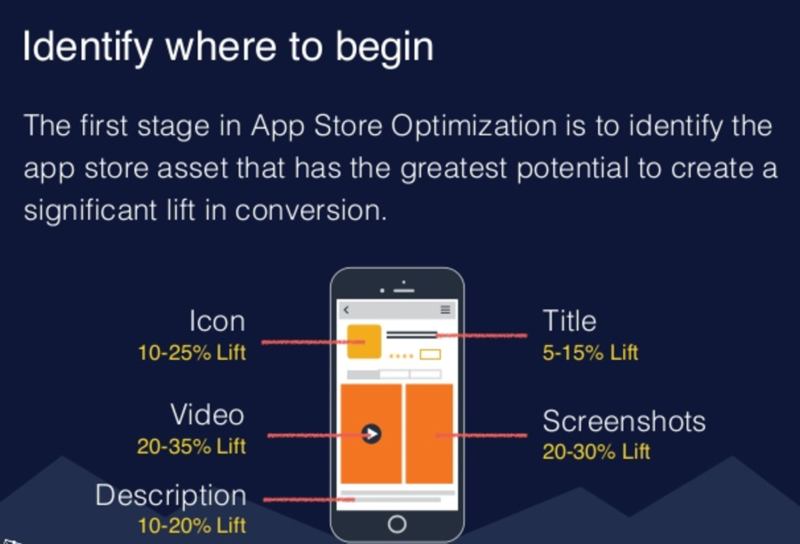 Visual associations: using one dominant visual that associates with the app's main use case. A designer's touch, such as shadows, gradients, decoration and more subtle associations. 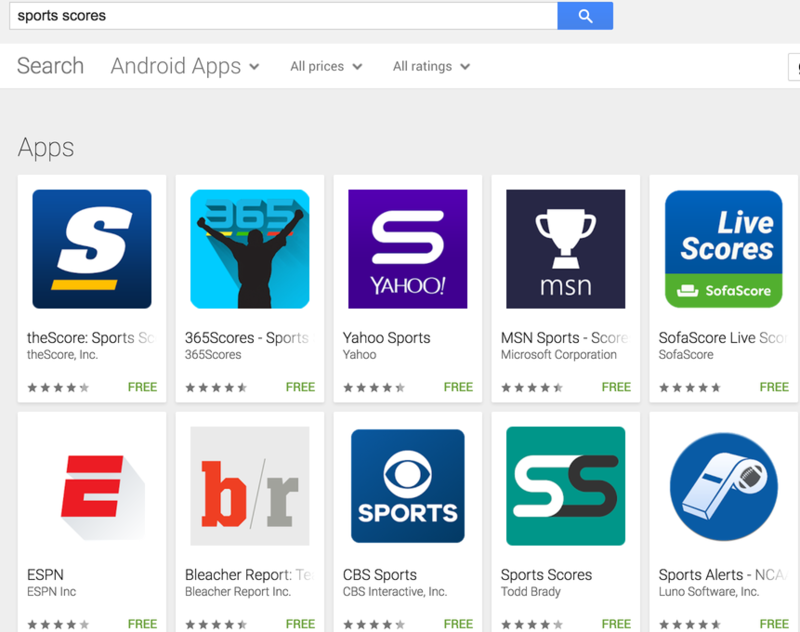 Words or letters: some apps use words or letters in their icon; most are branded, but not all. Singular focus: most apps have a single, simple visual focus, but some (photos and video) use more complex designs. Use different background colors or the color of your icon itself – an easy way to start testing. Compare using an icon that subtly describes your main use case, vs one that is more branding-oriented – however, try to stand out from your competition. Try using a small additional icon/s or visual reference in addition to the main image – keep it as simple as possible, but capturing more use case associations. Test using words or letters in your icon – word overlays work incredibly well in Facebook Ads (becoming all but banned for it), and while fitting words into an icon can be tough, it can pay dividends if your app can be described by one keyword. 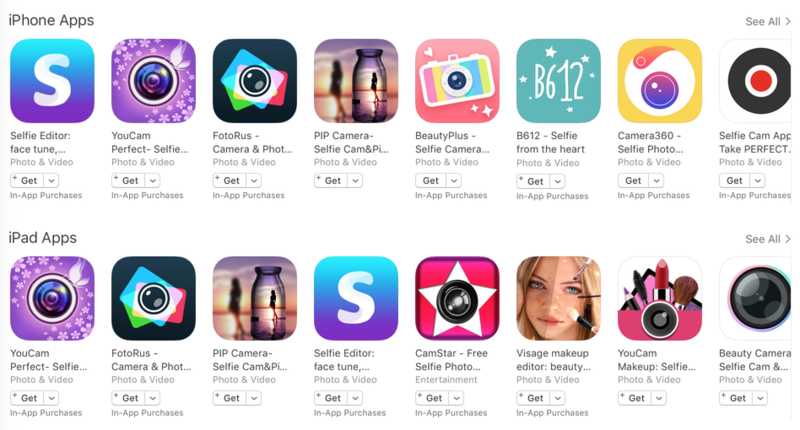 For these selfie app icons, the use case association is clearly defined: 6/12 apps use a recognizable camera lens, while 8/12 use a circular, lens-like visual. 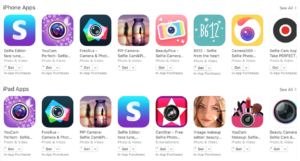 Curiously, though the lead app bucks the trend and chooses a simple "S" (which still keeps the "Selfie" latent reference). Surprisingly, just one of the apps here opts for the person behind the selfie visual, which here is the clearest opportunity to differentiate. Furthermore, finding a way to combine the camera lens with the human element could yield a win, yet that also runs the risk of overcomplicating the icon. A few apps here use small, decorative visuals, while most adopt a purple/pink coloring, each of which likely appeals to the target market (female). For these music apps, the main theme is also clear: music notes (with the exception of the notable brands here: Spotify, YouTube, Soundcloud and iHeart; yet each of these brands includes some latent reference to music: sound waves, a record, an equalizer and broadcast, respectively). There is also a distinction between apps that fill their entire background with a color shading, vs sticking within a smaller profile. One app even utilizes a (likely effective) NEW sticker on the icon itself. Samsung nabs the opportunity to make the direct music note connection while also standing out, by using a quarter note vs an eighth note. One other noteworthy item includes the subtleties of several icons (i.e. the Apple music uses a subtle white circle around its music note, leopard's icon uses an equalizer background and Jayavelu uses heavy shadowing around its speaker icon). PS – does anyone remember the Spotify logo color crises? For sports scores apps we see much more letter branding vs distinct associations, yet three apps do make heavy use of the common sports representations of a trophy, whistle (if you look closely you can see a well-placed football as well) and fan silhouette. Additionally, we can see here several icons using actual words, beyond the name of the developer. Color leans towards red or blue and most apps use colored background fills, too to contrast against white font. These apps are fairly distinct, yet they miss out on the opportunity to make an association with the main use case here (score numbers). 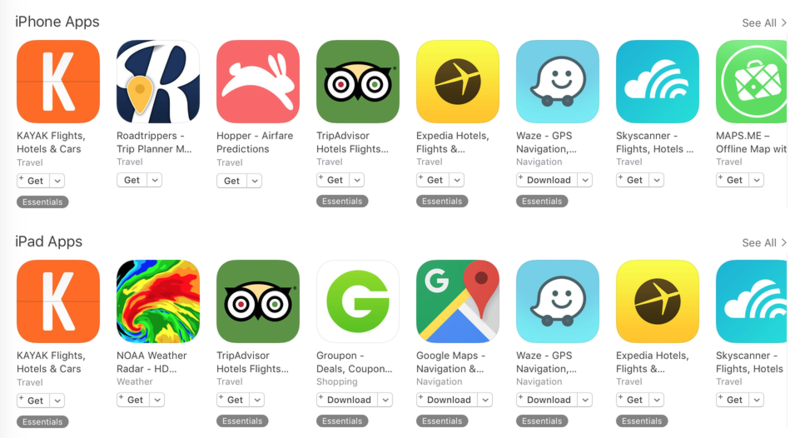 While travel app icons are mostly dominated by large app brands, there still are still two common themes: locomotion (a rabbit, car and plane) and the well-known location pin; a luggage item is also a recognizable travel association, while the skyscanner cloud seems more of a branding play than immediately recognizable as travel or flights (the presence of a wing/bird/plane would make the association more direct). There are plenty of travel associations that could be tested for a non-brand app in this category, such as a globe, car, passport, sign and even palm tree. 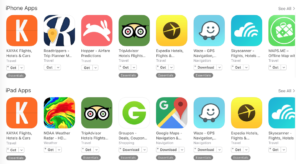 What is also clear here, though is that nearly all of these travel app icons are colorful, to elicit positive, excited visions of galavanting around the world. 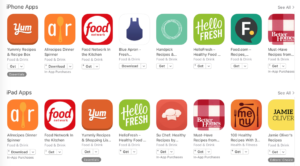 For recipe apps, the key trend is red/orange/yellow colors, as well as using words or letters in the icons; though the latter trend is mostly due to branding (potentially inferring that most of these apps are web-focused, rather than app-focused). Allrecipes, blue apron and su chef create a visual association of cooking implements (though mainly by virtue of their brand for the first two), but better homes and gardens goes further with the checkered picnic cloth association (which actually matches with their first splash-style screenshot). 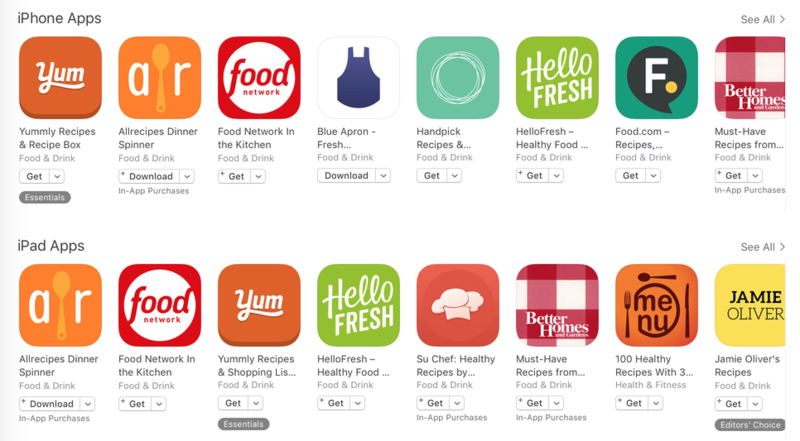 Similar to the sports apps, these recipe apps miss out on the direct association with recipes of a list or bundle of ingredients. Don't just pick one icon and keep it. Get in the habit of A/B testing to find the icon that is the cream of the crop, and make sure to A/B test again after major changes, such as shifting categories, using vastly new screenshots or targeting significantly different keywords. Analyze post-install metrics, too; an early win in install conversion rate may be blunted if it leads to lower user retention. When making changes, keep in mind that your new icon should still be recognizable by your existing users, who could update your app and not recognize it anymore. Try to be descriptive in your icon, yet don't go overboard with too many foreground detail that users won't be able to easily discern, which could backfire by causing your icon to feel overwhelming. 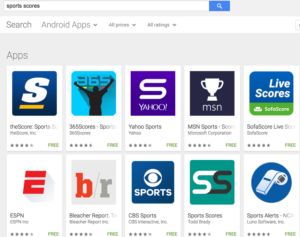 Ensure that you research what other icons in your similar rank for keywords and category look like, because these are the other app icons that yours will be competing with for user installs. Consider your target market and what will appeal to them, rather than what simply "looks appealing" in general – even take a few minutes to survey a few of your users (Apptentive is a good tool for surveying) to see what images they associate your app or its main use case with most. It's a good idea for consistency-sake to keep your icon branding in mind when theming your screenshots or video. 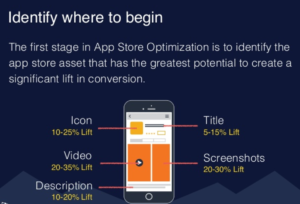 Check out this slideshare on other tips on app A/B testing from Thomasbcn.